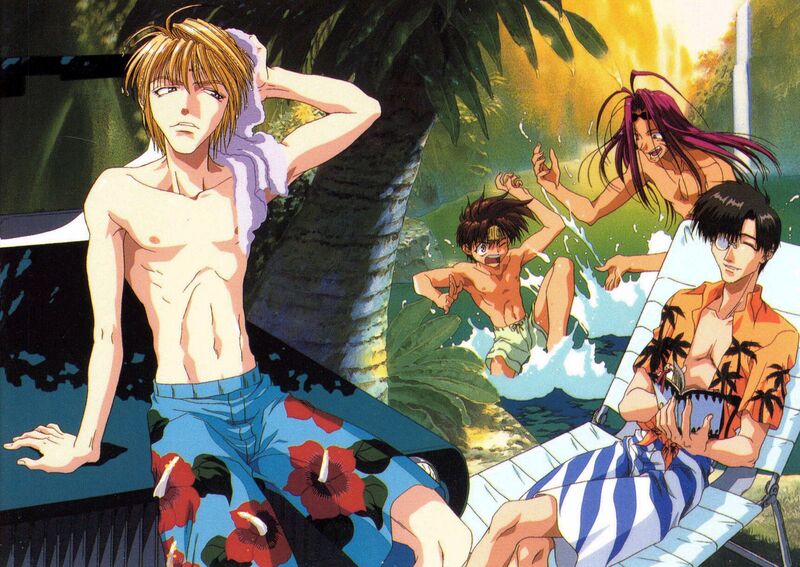 Minitokyo »	Saiyuki Scans » Saiyuki: summer fiesta!!! This scan isn't mine...But I hope you guys like it anyway. Found it at ricedanime. lol I love this scan. Awesome! Is there a link to ricedanime? I haven't been able to turn up anything.